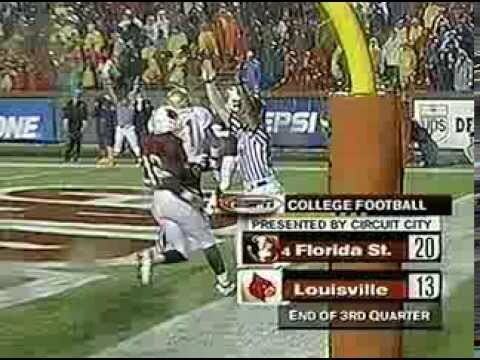 In a game that Sports Illustrated tabbed as the 6th-best upset of the 2000s, Louisville played host to the 4th-ranked Seminoles as the remnants of Hurricane Isidore poured torrential rains upon PJCS. This was the first time in my life as a Cardinal fan that I’ve ever seen our fans storm the field, and it’s still (to my knowledge) the only time the goalposts have ever been torn down in celebration. In 2004, C-USA voted the win the greatest moment in the conference’s first decade of existence.